Side-Specific, Unilateral Unweighting-with the Smart Bar we are able emove an equal amount of weight off both sides of your patient, OR increase in 25% increments to 100%. 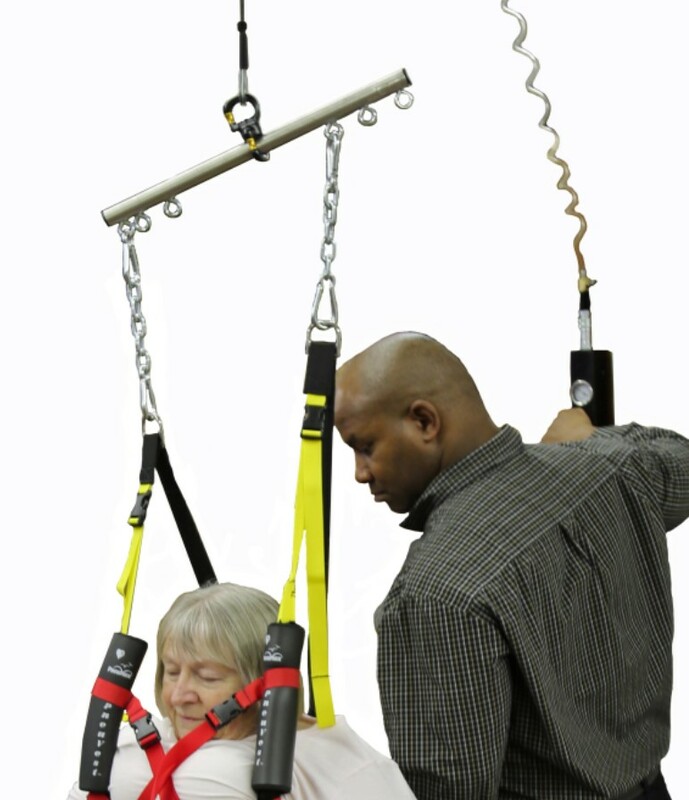 It works with the PneuWeight, PneuLift, and PneuTrac in Balance and Exercise modes. The swivel acts to reduce wear on the cable allowing for cable only replacements and the 360 degree rotation allows multi-planar exercise. The closer to center you attach your vest, the more weight will be removed.